Batman and the Turtles go on the offensive in the belief that they can take Bane down while he’s weakened, due to a lack of Venom on the Turtles’ world. But that’s not true any more! 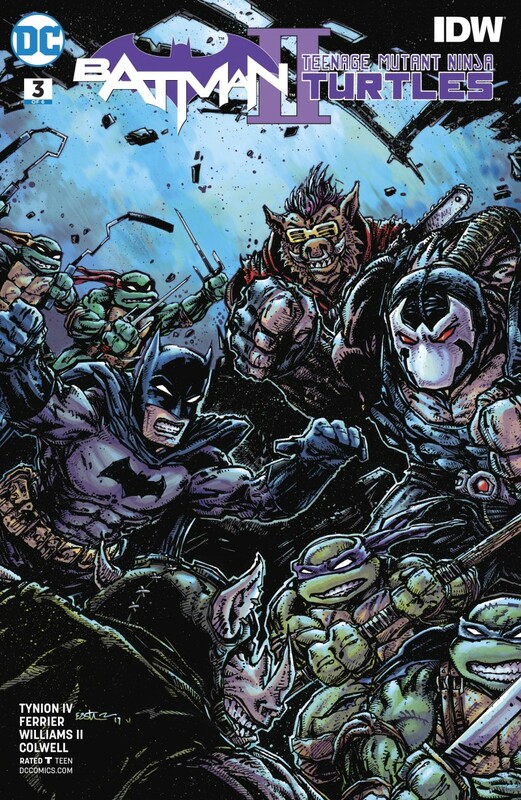 The Turtles’ foe Baxter Stockman has found a way to reproduce the deadly substance that feeds Bane-which means the Dark Knight and the Heroes on a Half-Shell are in for the fight of their lives.